While investigating mysterious happenings at a state mental hospital, journalist D.J. Parker learns the location of a famous cache of diamonds stolen during World War II. What she doesn’t know is that the federal government has secretly been following the case for years. With an old journal to lead the way, she sets out aboard a yacht that once carried the infamous Herman Goering and embarks on a thrilling treasure hunt that could prove to be the adventure of a lifetime… if the captain and his partner don’t turn out to be crooks. And the FBI officers following D.J. are really working for the FBI, and if the horrendous secret Dee uncovers during the investigation has absolutely no connection to the famous jewels. But just how long can a secret remain a secret? And more importantly how can a person know whom to trust? 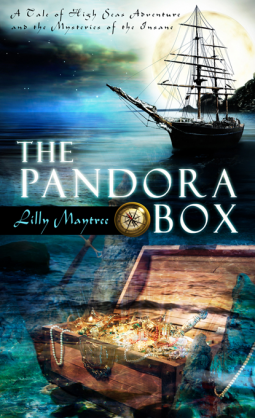 The Pandora Box was a fast paced adventure novel that I didn’t want to put down.Â In the spirit of her hero, Nellie Bly – America’s pioneer female journalist, D.J. Parker is up for adventure in the pursuit of a good story.Â But somehow things become personal when a man that she hopes to help dies and leave her a treasure beyond her wildest dreams…if she can only find it. D.J. 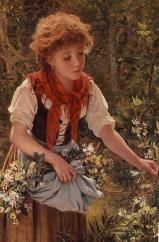 is a lovable, but wildly impulsive character, which lands her in more than one tight place.Â Her heart is good, but her decisions don’t always follow her good intentions.Â So, when she starts off on a wild treasure hunt she ends up roping her best friend into the mix and teaming up with complete strangers as the lure of riches grows to outweigh common sense.Â A fast paced and exciting adventure follows.Â My only real disappointment was to find out that there aren’t more D.J stories out there waiting to be read. I received a free digital galley (unedited version) of this novel to readÂ in exchange for my honest opinion.